Why does mould change colour? I recently bought a packet of Gorgonzola cheese, opened it up, and the mould on the inside was yellow. I thought it might have gone bad, but then I smelled and tasted it, and it was fine. I left the cheese on the counter and an hour later, I came back and the mould was blue. My theory was that once it was exposed to oxygen, it must have changed colour. Why would this happen? Martin - Well the blue colour of the cheese is due to the spores produced by the fungus, and Penicillium roqueforti grows at very low oxygen concentrations, but it needs higher oxygen concentrations to sporulate. 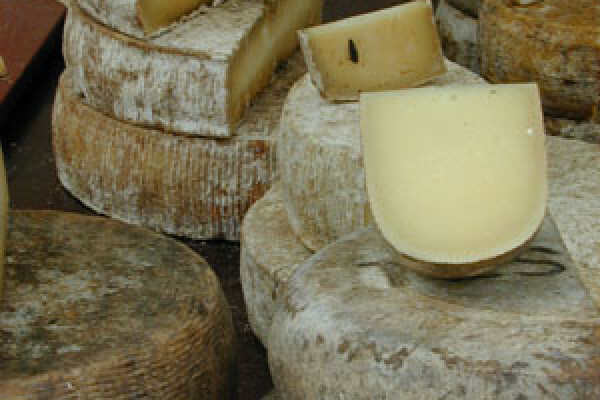 It may be that the mould had grown throughout the cheese and made the cheese, but it was the exposure to more air that caused it to sporulate and get the blue colour. Previous Does blue cheese alter antibiotic resistance? Next What happens to cake that's been frozen for 11 years? Lasers, Atoms and our Universe!